I was thinking about the different places I’ve lived and how landscapes have influenced me over the years. 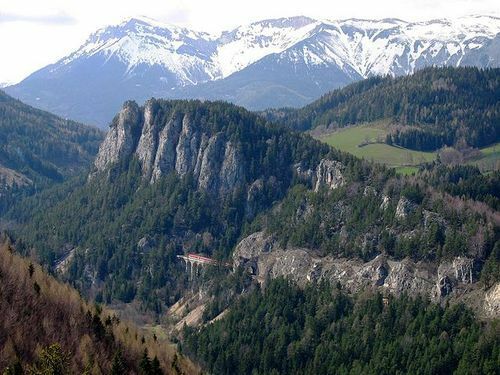 The first landscape impression I have is of Austria’s Rax mountain, which towered over the village of Richenau, where I lived until I was seven. I have loved mountains ever since. 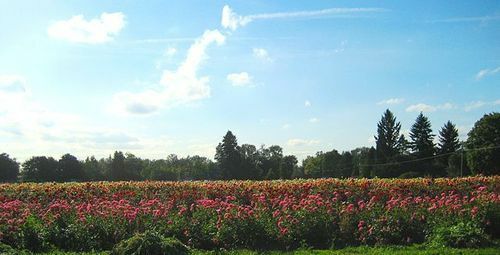 The second is the verdant Willamette Valley, a green swath running north to south between the Cascade mountains and the coastal range in western Oregon. 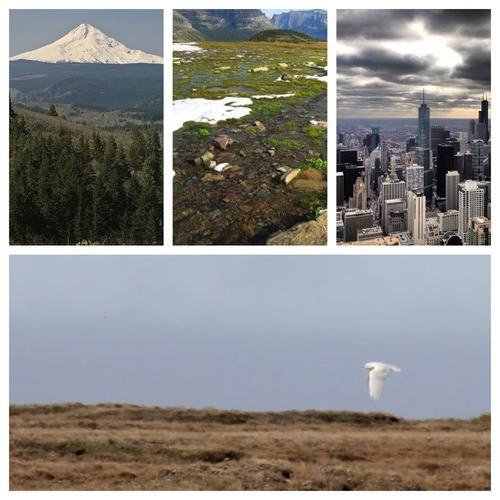 The volcanic peaks of Mounts Hood and Jefferson to the east, along with the Three Sisters and the flattop of Mount St. Helens to the north form a boundary of sorts, while the wild Pacific Ocean to the west hems you in to the wide valley from which it is very difficult to escape. 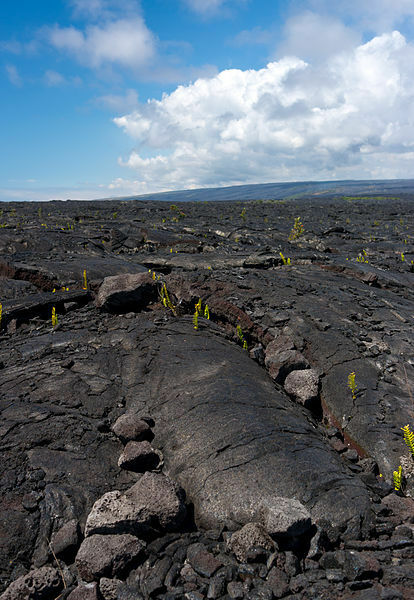 The third is the bleak lava fields of the western part of the big island of Hawaii. I spent seventh grade living up on the slopes of Hualalai with my parents and my brother and sisters, and though I was fascinated with the lush vegetation and dank lava tubes near the school I attended and the smell of rotting guavas near the bus stop, it was the dry flats with their moonlike appearance that impacted me most. I loved to read the dates of the most recent lava flows on signs posted along the highway and imagine the stark blackness of the cooled lava highlighted by the vicious red of molten rock flowing toward the ocean. Living in Hawaii is to experience the slow and formidable creation of the world that we know. 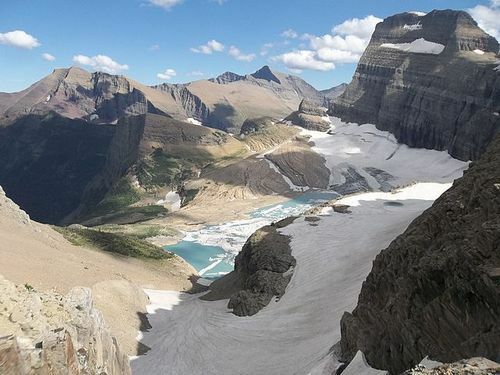 The fourth is the crown of the continent, a portion of north central Montana where glaciers scoured out a gem of massive granite walls and deep valleys carved out by dusty blue rivers. Glacier National Park looks nothing like it did when I was a kid and visited with all the wonder of the discovery of the dawn of the world, a time when glaciers and dinosaurs were synonymous and where the ice, even in early summer, was thick and hearkened back to an age when it covered the world.The glaciers are all but gone. A few cling to rocky precipices thousands of feet above your head, but they are trickling away their lifeblood summer after summer. The fifth is the tundra, which has two very distinct personalities. The tundra that I lived with every day was that which clings to the Chugach mountains high above Anchorage, Alaska. In the spring, the tundra runs wild with the life-giving spring runoff. In the summer, you can watch it almost shimmer with the brilliance of millions of tiny plants clinging to the sides of the otherwise barren mountains. I would take walks in it and rest upon its carpeted softness and wonder if the caribou could taste a difference in the millions of tiny plants that make it up. The second tundra is the flat tundra of the northern realms. outside of Barrow, on the edge of nowhere, the tundra runs beige and dry in summer as snowy owls hunt for lemmings in the 24-hour sunlight. 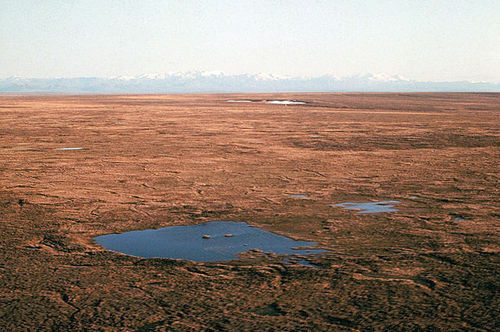 In the fall, the tundra follows the pattern of leaves farther south. It turns a brilliant shade of rusty red with orange and yellow highlights. I’m convinced there is not a painter alive who can mimic the magic of the northern tundra. And the last, or, I should say, the latest, is the city, sprawling, as it does, from wilderness to wilderness as an organism complete with a vascular system of pipes and wires that connect one part to another. In its own way, the city is as breathtaking as the country side. Where the mountains greeted me upon waking in Anchorage, now the skyline meets me, seemingly rising out of Lake Michigan like a range of mirrored peaks. The difference becoming more defined at night, when the skyscrapers light up with the brilliance of millions of watts of electricity to draw your eyes upward as they would be toward the snow capped peaks in daylight. And if you wander the canyons of the city, they overflow with life at almost any hour. And this is probably my favorite detail. There is no loneliness in the city. Or at least there does not need to be any. The city is like a hive of the best of humanity, the highest achievements in food and lifestyle and community. Unfortunately, the opposite is also true. The city can exhibit the basest of human behaviors, the lowest forms of community and food deserts. And all of this, all of this is contained in just a few square miles so that it is condensed and anywhere you look, there is always something new, some detail that went unobserved the last time you looked there. Always there are new faces and interesting stories, and that is why the city is the most fascinating landscape for me. It truly holds more surprise and more adventure per square inch than any landscape that I’ve lived in or near in this short life so far.